Welcome to a heightened level of service and efficiency in your home buying search. 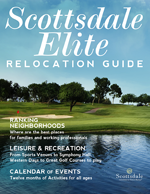 Arizona Buyers Agents goes beyond providing you with information that will help you find the ideal Arizona luxury real estate in Scottsdale, Paradise Valley, Phoenix, and Cave Creek. We'll create an exclusive Personal Online Portfolio just for you so you can keep all your information in one convenient place. This will be your customized space for all house listings, virtual tours, a record of your preferences and a history of your search. You can revisit the virtual video tours you have requested, compare features of different homes and communities, and more—all on your schedule. This makes it easy to review your options, interact with our Arizona luxury buyer’s agents and view live, virtual tours of homes in luxury Scottsdale communities. What’s even better is when that information is compiled and organized for quick and easy access and review. Through the Dropbox app, photos of properties are stored in the cloud for a slideshow of potential properties. Whether you are near or far, all transactions can be performed through the complimentary iPad we give you for greater efficiency. With all the information you’ll be compiling, how nice it will be to have a Personal Online Portfolio and an iPad dedicated exclusively to your home search. You’ll have the advantage with anytime, anywhere access. These are just some of the examples of the concierge-level service – and protection – you’ll receive from Arizona Buyers Agents throughout your home-buying process.